Trude Sundset is a leading global capacity on CO2 capture and storage (CCS). She is CEO at Gassnova, the Norwegian state enterprise for CCS technology development. Sundset has broad experience from international organizations as a board member in IEA GHG, CSLF, IPIECA, ZEP and The Hawthorn Club as well as leading positions within the area of energy, environment and climate issues in the oil and gas industry. She started her career as a researcher at SINTEF. After 10 years she moved on to Statoil ASA (today Equinor). 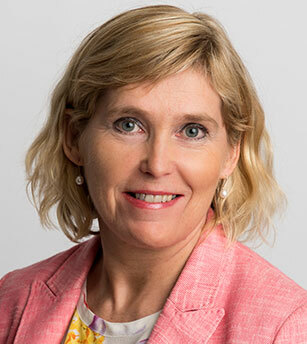 19 years at Statoil Sundset held top positions as: Chief Researcher, Head of Environment and Climate International and Vice President Environment and Climate Corporate HSE. Trude Sundset has a Master of Technology from the Norwegian University of Science and Technology in Trondheim. Her broad-based industrial experience and extensive career has given her a unique insight in industrial development and technological solutions to mitigate climate change.